Intellect works with leading partners around the world to ensure and enhance customer success for every Smart Enterprise App built on Intellect. Differentiate your business and generate revenue by partnering with Intellect. Nextware Technologies is a software application development and IT services company offering a full range of application development and IT services. Nextware services include custom web, mobile, and desktop application development, web design, CMS, SEO, and backend integration. Nextware also offers e-commerce solutions and web hosting, and provides IT consultancy, QA, and testing services. Acumor delivers proactive maintenance services through our flat-rate IT Support Service. Acumor partners with you as your Virtual CIO and IT Department, allowing you to focus on running your business, not your technology. Asentex is on a mission to simplify technology and operations for organizations. We become an extension of your organization and work with you to improve your processes using technology such as Business Process Management, Data and Document Management Solutions, Managed Services and Business Analysis. Everbridge provides industry-leading interactive communication and mass notification solutions to organizations in all major industries and government sectors. Organizations in more than 100 countries - including Salesforce.com, AirTran Airways, the American Red Cross, and Virginia Tech - rely on Everbridge for their emergency notification and day-to-day incident communication operations needs. BPM Advisors is a boutique management consulting firm focused on comprehensive Business Process Management (BPM) solutions. BPM Advisors offers a portfolio of quality services that anticipate and satisfy organizational needs. NutraHealthFood, LLC provides nutrition, health and weight management programs, with a specialization in the Hispanic/Latino communities, plus an innovative SaaS-based health information technology-- the Patient Health Information Tracking System (PHITS) - powered by Intellect. Founded in 1993, Ranvest Associates began as a consulting service to small business clients, with a special emphasis on how to improve effectiveness and profitability through the use of computers. From this base, they have rapidly evolved into a full-service computer solution provider. Kings Unlimited is a technology and process improvement consulting company.We address the gap between manual work and automated work, creating environments where people thrive because they get things done -- ensuring companies save money by automating processes that have been done manually. This is done with the use of software and education on how to become more efficient, thus creating more time for customer service, recruitment, and retention. The Novel Management Group (NMG) is a consulting firm which specializes in technology consulting, organizational change management and development, and strategic planning. NMG assists its clients in assessing the internal and external climate of their business and properly developing a long term sustainable strategic roadmap to ensure success. Forsythe focuses on helping its clients optimize the cost and manage the risk of their IT, while improving their performance. Forsythe is a company that offers technology and business consulting services, technology leasing and products from all leading IT infrastructure manufacturers. All their solutions are delivered through a proven methodology for helping CIOs and other IT executives determine which areas of their IT hold the biggest opportunities for impactful spend optimization in the short, medium and/or long term. SeaLight, LLC specializes in helping small to medium size companies streamline internal process and optimize project management processes. Experts in getting troubled projects back on track, let SeaLight, LLC help you see the light on your projects. ZenEdian is a virtual corporation forged in the modern world of global businesses and advanced technology designed to foster a unique corporate presence that encourages both individuality and team effort to achieve the customers goals as well as their own. ZenEdian works with clients to determine what works best and using their Best Practices productivity series, they will tailor the correct approach to achieve the client's strategic goal. RAS Information Technologies provides cutting edge business and IT technology services in all aspects. RAS Information Technologies helps smart enterprises at critical business and IT planning, and delivering IT-enabled business performance. Our distinctive portfolio of consulting services focuses on creating synergy between business objectives and IT initiatives, providing direction and oversight to these initiatives, and ensuring delivery success through our pragmatic design and implementation approach. Nexus Academy is a tuition free college preparatory high school located in Indiana (Indianapolis), Michigan (Grand Rapids and Lansing) and Ohio (Cleveland, Columbus and Toledo). It provides students with a unique blend of online and classroom learning with personalized learning plans and a challenging curriculum featuring Advanced Placement and Honors level courses in Mathematics, Science, Language Arts, Humanities and Social Studies. Headquartered in Cleveland, Ohio, PeProSo's business process management (BPM) consulting and software technology services help organizations improve performance by focusing on people, processes, and then technology-in that order. PreProSo has worked with organizations from a variety of industries including manufacturing, aerospace, bioscience, health care, engineering, quality, and more, to rapidly deliver exceptional solutions to their greatest challenges. Biz Data Solutions aims to improve operational efficiencies and business performance by easily deploying flexible business processes spanning multiple applications, platforms and business partners. With hundreds of customers and partners worldwide, Biz Data Solutions has demonstrated consistent leadership, growth, and profitability since our 2004 founding. Biz Data Solutions focuses on key areas of business where simplification brings greatest value for growing revenue, controlling costs and minimizing risk. 3P Partners provides solutions for improving operational & workplace performance focusing on process and quality improvement through problem identification, quality systems assessment, waste reduction, the application of Lean and Six Sigma initiatives, supply chain management, staff training & people empowerment, and changes in corporate culture needed for long term, sustainable performance. 3P Partners also offers a variety of individualized services such as managing a plant start-up or shutdown, materials and logistics, and advanced product launch support. Pronounced (si'tok), CITOC is a business technology consulting service founded in 1995 on the premise that change is The Only Constant (CITOC). We are known in Houston for our expert knowledge of automating manual processes, cloud services and rapid growth. CITOC is an award winning Houston IT service company. CITOC won the Houston Business Journal's Fast Tech 50 award 5 times and the Microsoft Partner of the Year award in 2012/2013. In 2011, CITOC was recognized on the Inc. 500/5000 list. ERGOS Technology is a BBB Online Reliability Program Participant. ERGOS is committed to providing quality solutions. they use proven, standard methodologies across their client networks. The Ergo's dedicated project team, network designs, installations, migrations, and applications are completed on budget, on time, and many times, ahead of schedule. ESC is the exclusive Professional Services deployment firm for GOA Software. The GOA Software portfolio of products covers an end-to-end set of applications. Alpine Consulting is a Gold Solution Partner experienced in B2B, B2C, and B2E eCommerce solutions.They empower mid-sized to Fortune 50 organizations to deliver an integrated user experience and optimize transactions for all customer and backend touch points. Alligar is a management consulting company that provides guidance and services designed to boost business. Products and services are tailored specifically to the needs of the business in order to ensure every dollar spent on technology is an investment in business success. Alligar consultants are experts at helping clients realize their vision and are chosen for their amicability as well as their professional experience, which shows in the work product, attitide and client results. Synaptitude is a premier management and information technology consulting firm, proud to provide expert professional services to some of the most recognized names in global business. Itron Inc. is a leading technology provider to the global energy and water industries. Itron is the world's leading provider of intelligent metering, data collection and utility software solutions, with nearly 8,000 utilities worldwide relying on its technology to optimize the delivery and use of energy and water. Its products include electricity, gas, water and heat meters, data collection and communication systems, including automated meter reading (AMR) and advanced metering infrastructure (AMI); meter data management and related software applications; as well as project management, installation, and consulting services. Trident Contract Management is a leading IT asset and contract management consulting firm. Their services help clients establish or streamline their asset and contract management processes, reconcile deployment with contractual documentation, properly align service level agreements with business requirements, and control costs. Better Information. Better Decisions. SystemMicro is a leading provider in the field of business process Optimization & Automation with unique solutions that empower clients to achive more by optimizing costs, increasing revenue and reducing time to value so they can always deliver on their customer promises. As one of the key global partners of Intellect and as the exclusive partner in Canada, SystemMicro has been able to leverage the state-of-the-art Intellect platform to introduce game-changing solutions that address the complexities of today's global, consumer-driven marketplace and span the entire software life cycle from "planning to delivery" through any channel. These essential solutions scale to unlock value and solve the toughest problems for the world's best companies. SystemMicro's commitment to enabling long-term customer success is showcased in our Services organization which includes Cloud, Consulting, Training and Support Services. SystemMicro supports every phase of the business lifecycle to ensure that technology, business processes, training and support work together and are in alignment with each customer's strategic goals. Xpress Software provides consulting services in ERP, BPM and Software Development. Kinathix, S.A. de CV is dedicated to providing solutions for process automation, using the methodologies, standards and leading software products in the industry to enable customers to increase their efficiency and productivity, and reduce operating costs. Kinathix aims to become a strategic partner of our customers. Energetika Technologies is a company with 4 years of experience offering high savings projects in ensuring energy solutions through the use of technologies focused on lighting, automation of processes and the generation of energy from renewable sources. Xtrategus offers a group of services that includes operational and processes modeling aspects, and not just technological subjects. Their solutions facilitate and support the process of quality management, environment and health/safety in agreement with the requirements of the effective standards. The Xtrategus management is aligned to the main models of Management, integrating the main standards and methodologies of the market. NetBeam is an IT company formed to meet the communication and Network demands of the industry and the people. NetBeam's Professional Team has several years of experience in complete VSAT, WiFi Internet communication solutions for businesses, private consumer and government agencies. NetBeam aims to consistently redefine expectations and continuously harness global and local resources and intellectual capital to deploy solutions that will generate relevant and inspiring levels of service for its customers. TagKM Solutions Ltd is based in Uyo, Nigeria. tagKM provides a comprehensive suite of knowledge management and document management solutions for corporate businesses and government agencies. tagKM has more than 12 years experience specializing in knowledge management and document management systems and strategy. Pericent is a business process management(BPM) consultancy and technology services firm focused on business process improvement and cost effective information technology. Founded in 2007 by IT industry veterans. 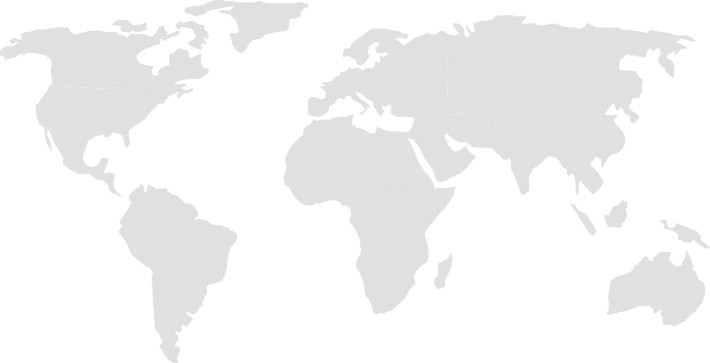 Pericent headquarters are in Jaipur, India, with offices in the North America (East Cost and West Cost), South America (Brazil) and Partners Network around the world. Info-Alchemy is a solutions provider of Enterprise Data Integration Software in Asia. Its primary focus and expertise cover data integration, data warehousing, business intelligence and analytics. Info-Alchemy provides end-to-end solutions and services based on best-of-breed platforms and technologies. Vyka Software operates on the Czech market since 2011. The basis of its experience is based on project management and services related with large-scale SAP systems, smaller systems, software development, testing, supply of hardware and technology, outsourcing. When creating organizational units and connecting enterprise wide business processes, Vyka is using the Intellect Web-based integrated Workflow and Business Process Management software solution to build state of the art applications and solutions. Solti & Partners Consulting is a management consulting firm, which specializes in Business Process Management. Based on the information gathered from the analysis of a company's business processes, Solti & Partners implements new solutions which result in corporate-level resource savings. Solti & Partner's mission is to find ways to improve the efficiency of your company. Solti & Partner's continuously updated know-how, solid experience with market leading companies, and fresh creativity guarantee trustworthy and predictable results. Decameron offers a wide range of services, starting from company registration to general and specific consultancy in business brokerage, accounting, auditing, evaluation and other auxiliary operations, human resources, training; all of them aiming to be operationally efficient and results-oriented, thus facilitating the customers the achievement of their business goals with minimum consumption of energy, time and financial resources. Rebendo offers products and services, which measure and analyze the IT support functions. Through this Rebendo helps its clients to ensure the quality proactively and follow up on the whole, from the client via the physical network to the application and database. GNT is a distributor of Intellect BPM software along operations with Probiz. GNT aims and values automating and managing business processes. It is success to today's businesses. BayPM is a software company focused on developing Business Process Management solutions. They develop BPM projects based on the client's requirements and provide excellent service. Probiz is a distributor of Intellect BPM software along operations with GNT. 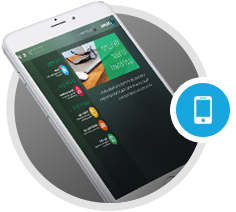 Probiz aims and values automating and managing business processes. It is success to today's businesses. BPM Solutions provides Business Process Management Consultancy and Services. GBS provides high quality and cost effective solutions to organizations looking at standardizing their business management operations. GBS employs the most up to date technologies that enable businesses achieve their strategic corporate objectives. PROMEDIC conducts several consultancies, studies, management and execution of projects in different fields for the private and public sector and provides turnkey projects for hospitals, from design, execution to commissioning. Register today and become an Intellect Partner. Intellect's Partner Program is designed to quickly position your company for tremendous growth with Intellect's Platform. Management solutions. You can help organizations re-examine and improve their cross-functional business processes to increase productivity with an all-encompassing platform from Intellect. Also, using the built-in reporting wizards, provide the crucial real-time information needs of your most demanding clients in either vertical or horizontal ways. Take advantage of the most exciting business solution software opportunity designed to help your company grow.